Thid saturday is celebrated in the White Night Burgos, with lots of activities and events, including the recreation of the defense of the castle by the 34th Line in 1812. Here you can find the program. In the summer of 1812 the Allies defeated the French at the Battle of Salamanca, forcing Joseph Bonaparte to withdraw from the southern part of the peninsula. 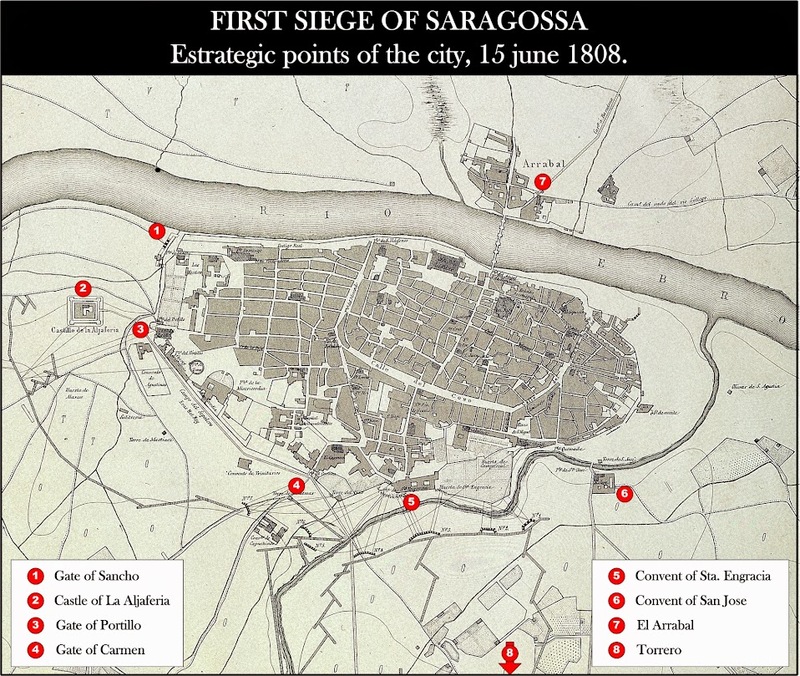 The citizens of Zaragoza rise against the french and appoint Palafox Saragossa governor and captain general of Aragon. 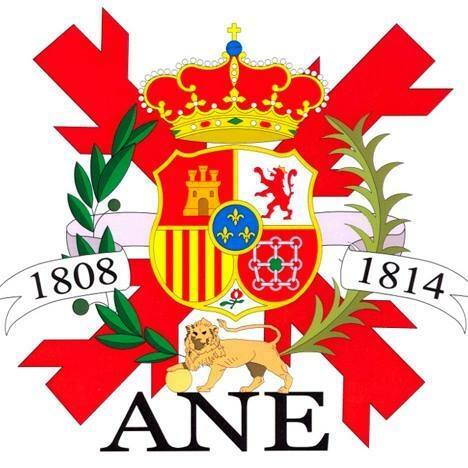 Thus the communication line between the French troops who were stationed in the Basque Country and Navarre with the French troops in Barcelona is cut. This made Zaragoza in a strategic point of vital importance. In Tudela, the brother of José de Palafox tried, with 6,000 men, keep out of Aragon the enemy but within hours the General Lefebvre took the city and forced the Spaniards to withdraw. The Spaniards were grouped in Mallen, where again try to stop the French advance, being defeated again. This second defeat, revealed the inferiority of the Spanish troops, against a well prepared and better equipped French army. 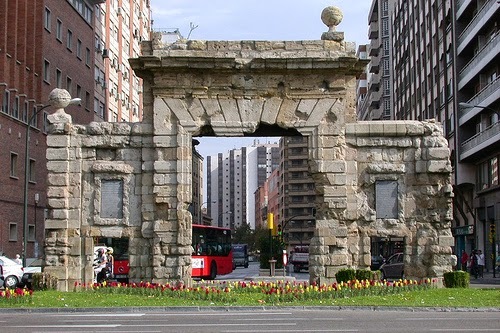 The city of Saragossa was not fortified, but had two natural barriers, the river Ebro to the north and to the east the Huerva. The south and west were only protected by a fragile brick wall, Aljafería Castle and the Convent of the Augustinians. This raised the question of whether it was better to attack the French troops in open field or dig in the streets of the city. Displaying the result of the latest fighting with the French decided to opt for the second option. 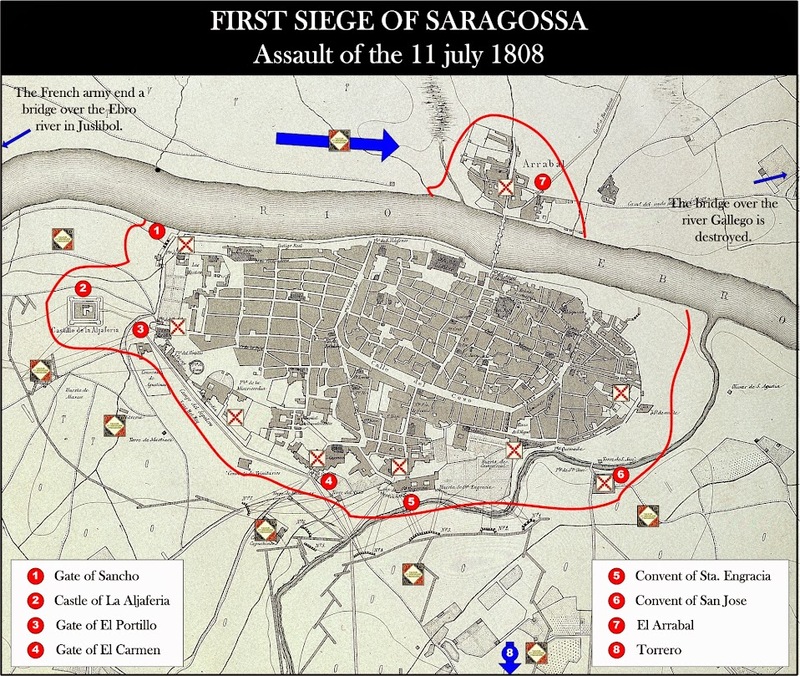 The French army reached Alagon with 14,000 men and prepares to enter Saragossa, expecting little resistance. The infantry was mostly green troops, but not the cavalry, also had very experienced Polish troops. There were only few Military forces in the city of Zaragoza and Palafox demanded recruitment of all Aragonese between 17 and 40 years. The Palafox himself and his staff leave the city and goes to regroup the troops scattered around Calatayud and Belchite. Despite the difficulties, the towns and cities of Aragon sent the troops they could muster, poorly armed and worse uniformed, but wiht a high motivation. Palafox was able to gather a few hundred professional soldiers and 10,000 volunteers, some cavalry and several pieces of artillery. But the departure of General Palafox was interpreted by some as desertion and nearly cause the surrender of the city by the Saragossa council, but the intervention of the people avoid it. 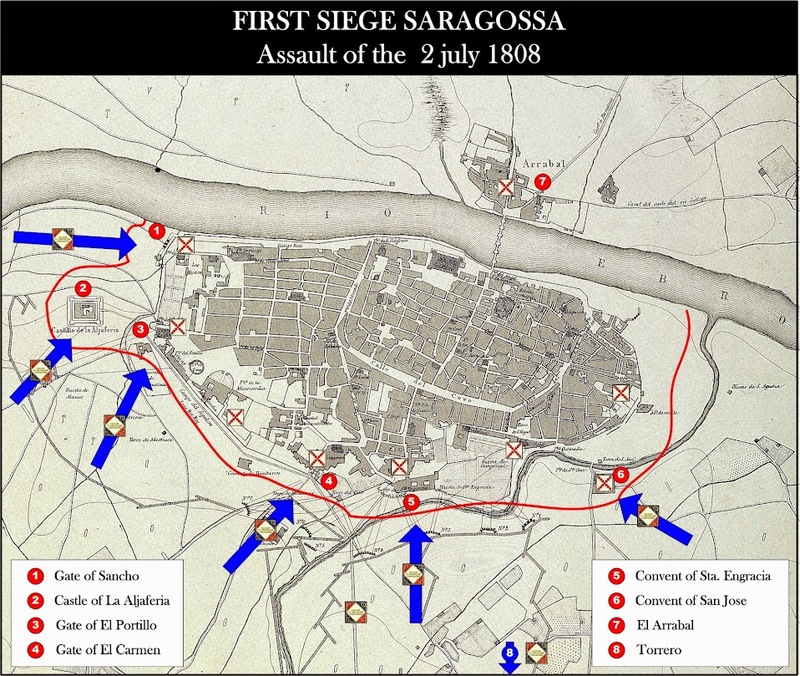 That same day, June 15 begin the first siege of Saragossa which will last three months and will surprise all of Europe, being an example of resistance to the invader. Poco después de mediodía los franceses se presentaron ante las puertas de la ciudad. El general Lefèvbre, esperando una victoria fácil se lanzó al ataque sin dar descanso a sus hombres. La artillería francesa abrió varias brechas en las tapias entre las puertas del Carmen y del Portillo y la infantería francesa las asaltó. Pero la resistencia fue muy dura y después de una larga tarde de lucha en las puertas de la ciudad (el Portillo, la Puerta del Carmen y la de Santa Engracia), los defensores rechazaron el primer asalto francés. Los franceses perdieron casi 700 hombres entre muertos, heridos y varias banderas. Shortly after midday the French appeared before the gates of the city. General Lefebvre, expecting an easy victory went on the attack without giving rest to his men. The French artillery opened several gaps in the walls between the Gate of Portillo and the Gate del Carmen and the French infantry assaulted them. 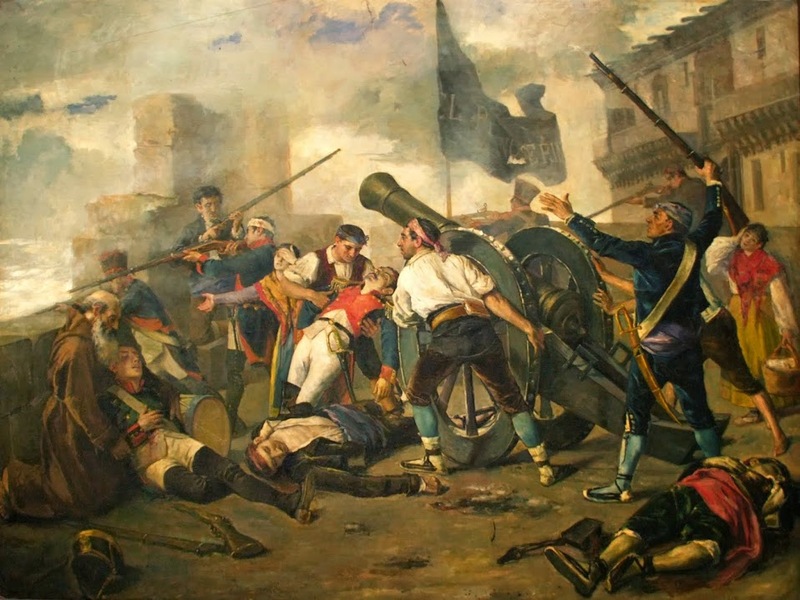 But resistance was fierce and after a long afternoon of struggle at the gates of the city (the Portillo, del Carmen and Santa Engracia), the first French assault was rejected. The French lost almost 700 men killed, wounded and several flags. Defend of the Gate del Carmen. 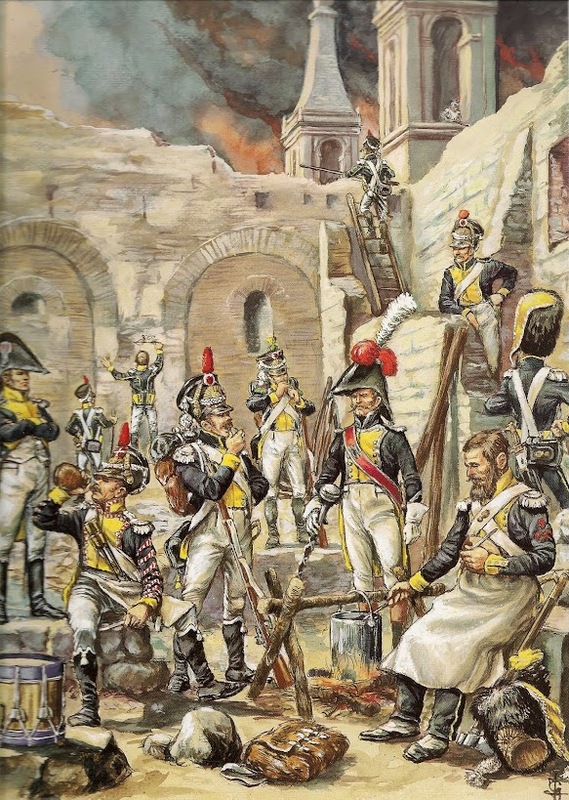 After this initial failure, the French were prepared for a full-scale siege, the city underwent an intense bombardment, while trying to cut their supply lines, although the number of troops at their disposal was clearly insufficient for this purpose. In Saragossa, meanwhile, labored to improve the fortifications: parapets, loopholes, barricades etc. of which had not busy. During the following days there were several French attacks, being rejected all of them. While waiting for reinforcements, the French sent a request for surrender, the city refused. 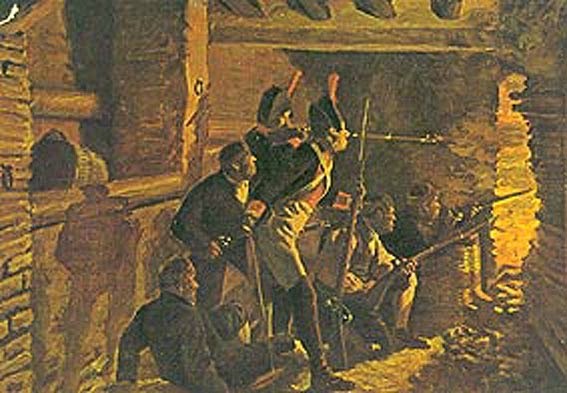 The French continued the bombardment. The French sappers cut ditch of Rabal, trying to leave without water the gardens of the city. However, across the river continued to arrive scarce supplies and reinforcements. Palafox, meanwhile, remained outside Zaragoza in his idea that the defense of the city should arise out of the same with combined attacks on his rear and supply lines. From Belchite will go to La Almunia where he got reinforcements and, after some discussion, reach Épila. 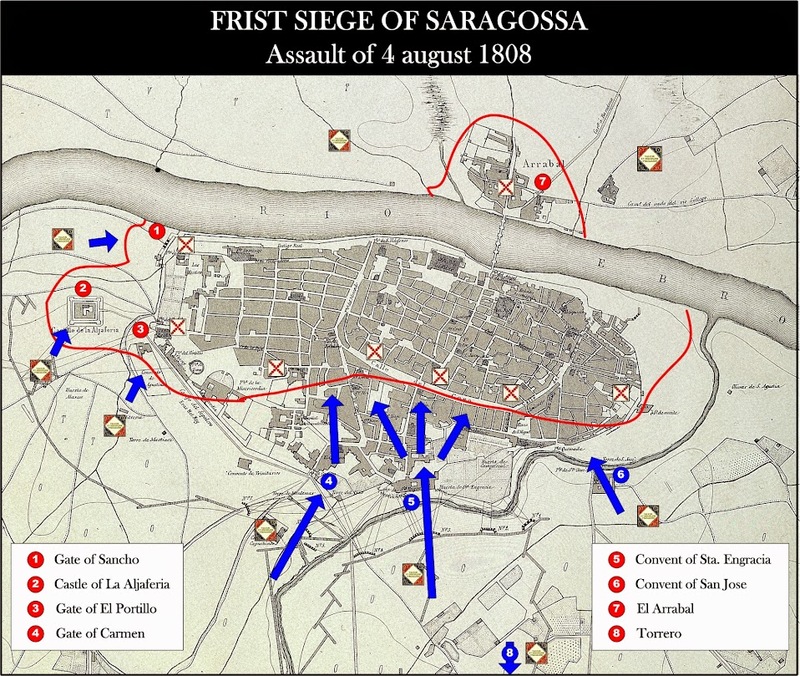 The forces that Palafox had been gathering from his departure of Saragossa, fought with French troops of Colonel Chopiski at Épila. The frebch won again and achieve to cut the route to the gunpowder mills at Villafeliche. Palafox forces regrouped in Belchite, to finally go to Zaragoza. 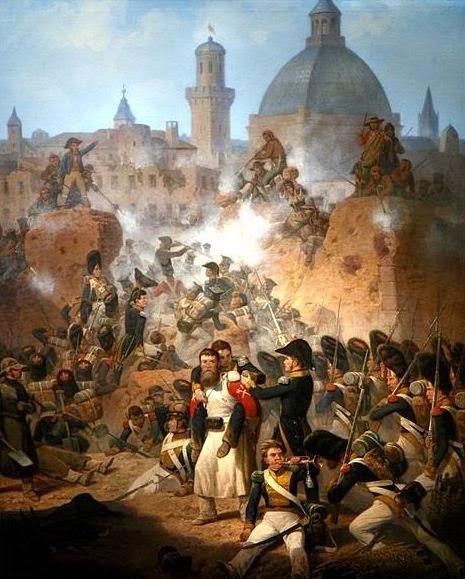 General Verdier came with a division of reinforcement and took command of the troops besieging the city, relieving Lefebvre. 26, 27 and 28 June 1808. The bombings become especially intense. 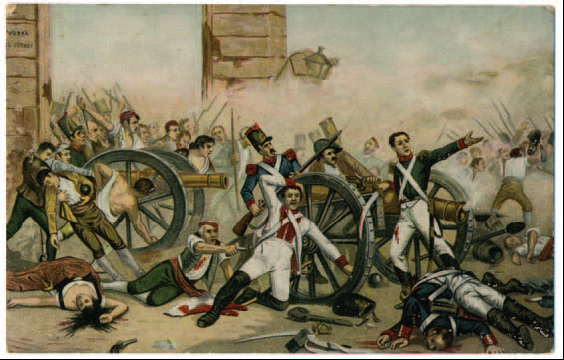 The magazine of ammunition of the city, located in the San Carlos Seminary, Exploded because of a cigarette on the 27th, causing serious damage and chaos that the French tried to use to enter the city. Although they were rejected after a hard struggle, the french could take some extramural sites. The French launched a new attack on the Gates of Carmen and Santa Engracia which are again defeated, but manage to take the position of Torrero. From this elevated position overlooking the Aljafería and the gates of Portillo and Carmen. Palafox returned to Zaragoza with some reinforcements. That same day the French launched another general attack on the city. Six columns attacking the Gates of Sancho, Portillo, Santa Engracia, del Carmen, the Aljaferia and the convent of San Jose. 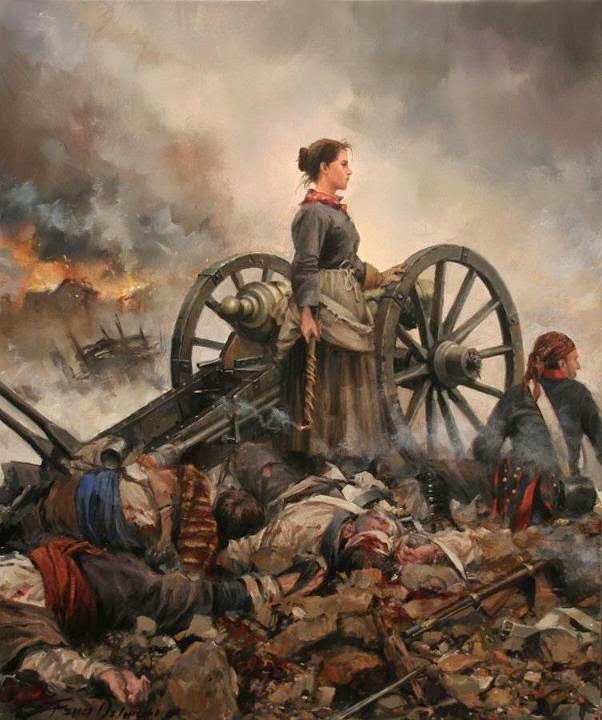 In this attack a woman named Agustina Zaragoza has to shoot a canon whose gunners had fallen by an explosion. The shot put to flight the French advanced attacking Portillo gate. The French were again rejected. Palafox’s brother (Francisco) enters the city with reinforcements, between the two, achieve to entrer in the city about 2200 soldiers. The French end to build a bridge and cross the Ebro river at Juslibol trying to close the circle and sent troops to loot the villages of the left bank of the river; and to Calatayud and Tauste, cutting off supply routes to the besieged. Once crossed the river, assaulted and took most of Arrabal, Saragossa neighborhood on the left bank of teh Ebro river. The destruction of the bridge over the river Gallego, tightens the knot, endangering the few reinforcements coming from Lleida. For the rest of July, French troops were faced with a struggle to gain control of neighborhoods outside the wall while sappers and engineers of the French army organized trenches, mines and deployed artillery siege. They get more French troops under Bazancourt, thereby increasing to 19,000 the besieging troops. With these reinforcements were able to take the final extramural positions. After a barrage of three days, a new assault, which is about to break the defense, the general himself Verdier is injured and Lefebvre takes the command. Large numbers of troops, enter in the city, which caused a bitter struggle with heavy casualties on both armies. 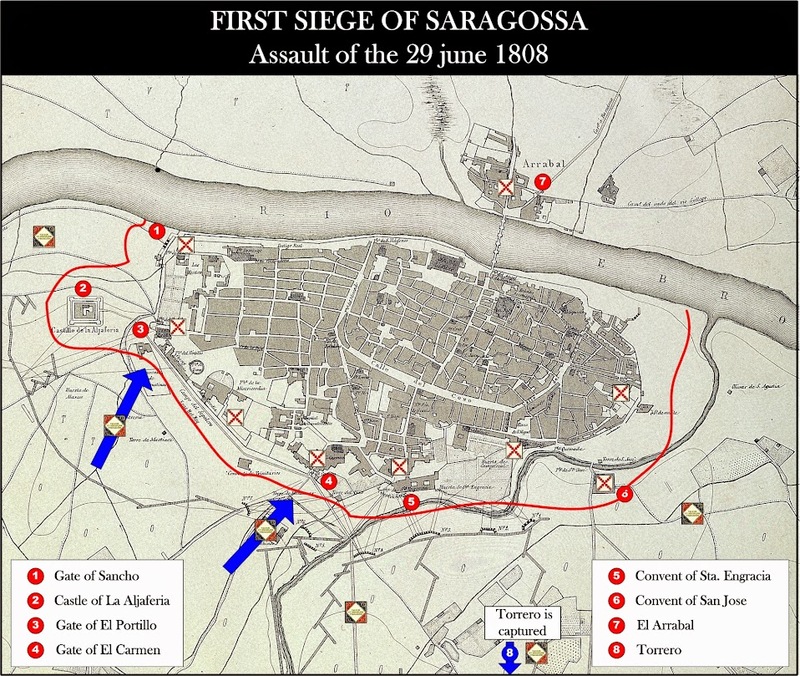 But Saragossa kept the invaders blocked and unable to cross the street Coso. Palafox departure from Zaragoza to seek reinforcements. Palafox bring reinforcements and supplies to the city, and news of the French defeat in the Battle of Bailen. Lefebvre, at this news merely continue the bombing and maintain their positions. With the initiative in Spanish hands, they made a counter attack on the Arrabal that manages to break the siege. This site cost to the French 3,000 to 4,000 casualties. The number of dead, wounded or sick among senior officers was such that some regiments were commanded by captains. Moreover, in their retreat they abandoned some 50 pieces of artillery. The Spaniards suffered 2,000 casualties and large areas of the city were destroyed. 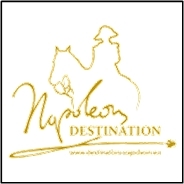 November, Napoleon in person command over 250,000 soldiers to punish the country that had humiliated his army. This time it was an army of veterans. 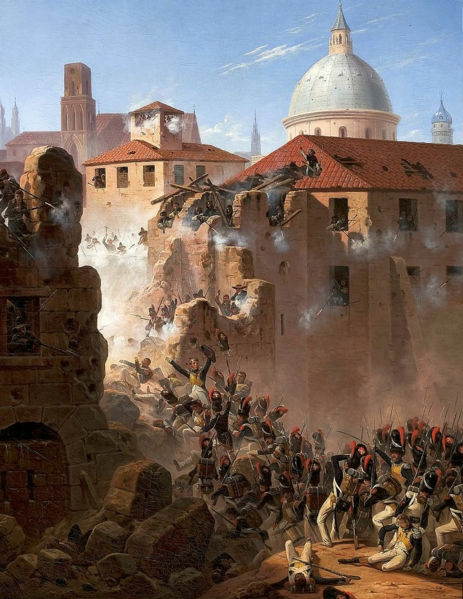 The Marshal Lannes sent troops Ebro and achieved the first victory in Tudela, on November 23, which opens the way for the second siege of Zaragoza. In 1807 Napoleon had defeated all enemies of the continent and had decreed the continental blockade to British commerce. Only Portugal refused to cooperate with the blockade. 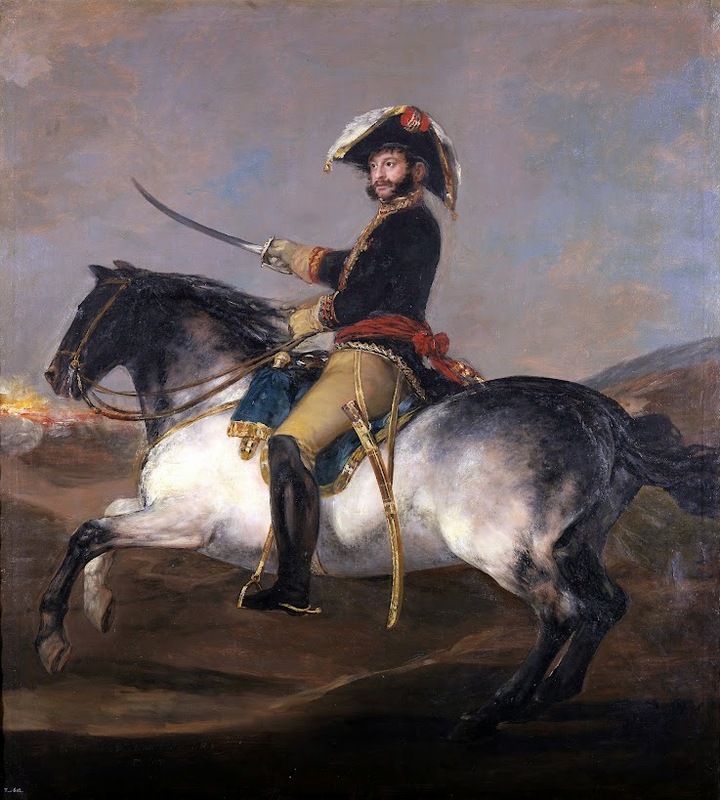 Napoleon and Godoy signed in October 1807 Treaty of Fontainebleau, by which Spain allow the passage of French troops in order to invade Portugal, Spain collaborate in the invasion in exchange for territorial concessions. Over 100,000 French soldiers crossed the spanish border road to Portugal, leaving strong garrisons at strategic points along the route.